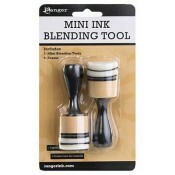 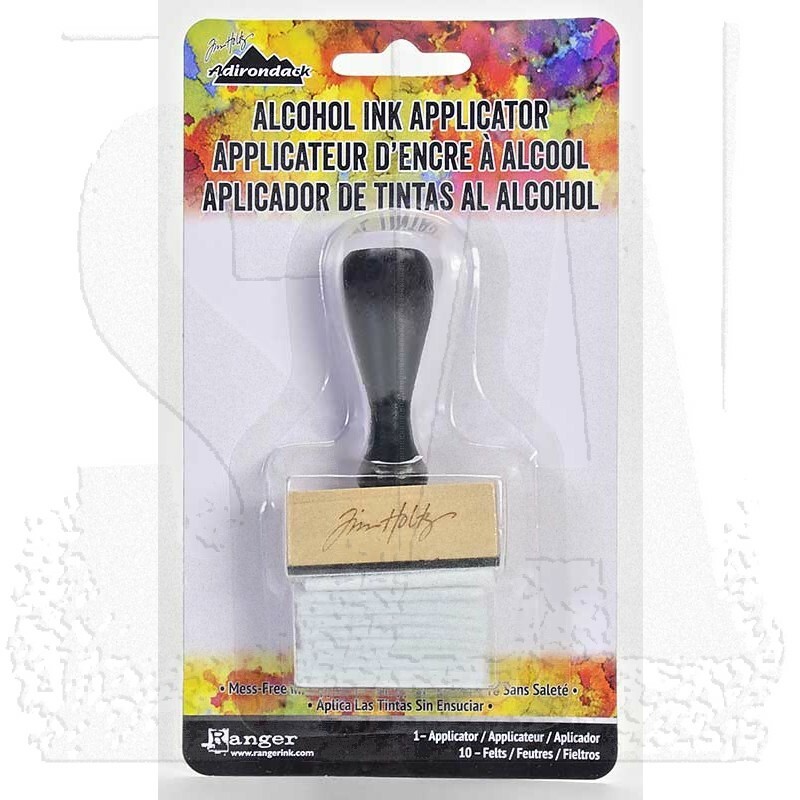 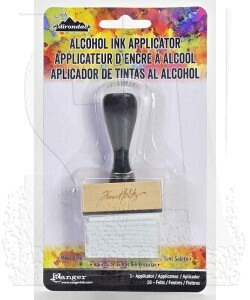 Specially designed by Tim Holtz, this ergonomic, solid wood tool is perfect for the precise, mess free application of Alcohol Inks, Mixatives, and Alcohol Blending Solution. 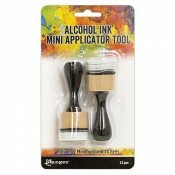 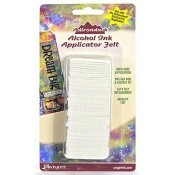 Simply attach the included felt to the Applicator Tool, apply alcohol products, then stamp and blend! 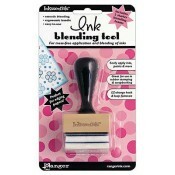 Includes tool & ten high-quality felts.